How to Stay Healthy, Happy, and (Most Importantly) Sane from Pregnancy to Parenthood: The Only Guide to Taking Care of YOU! St. Martin's Griffin, 9781250105585, 400pp. Kate Rope is an award-winning freelance journalist whose work has appeared in The New York Times, The Washington Post, TIME, LIFE, Real Simple, Parade, and CNN.com. 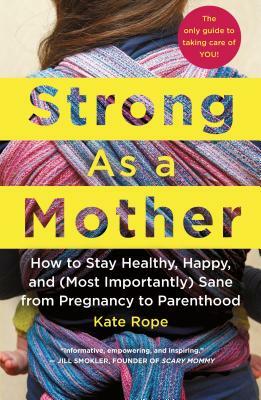 She is author of Strong as a Mother: How to Stay Healthy, Happy and (Most Importantly) Sane from Pregnancy to Parenting, coauthor of The Complete Guide to Medications During Pregnancy and Breastfeeding and lives in Atlanta with her husband and two daughters.